I found this short article from Bonnie T at the main office and I wanted to share this with you. I’m Bonnie T. At Stampin’ Up!, my main job is working with teams that educate and spoil our demonstrators—the Demonstrator Training team and the Special Events team. I’m also a demonstrator. 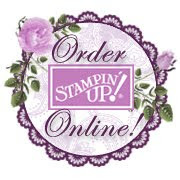 I love working at Stampin’ Up! 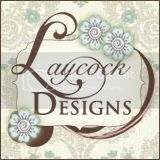 because there’s so much energy here; I love being a Stampin’ Up! demonstrator because I feel that energy when I share my ideas with customers. I hope you love your job, too! I wanted to share some cards I put together last night. The annual catalog ends this month and I love the Pinwheels on Parade Simply Scrappin’ Kit, so I thought I’d use it as inspiration. For only $21.95 USD/$26.95 CAN, you can make 16 cards with lined envelopes! I hope you like the cards—if you do, make sure you order online right away—there are less then two weeks to get this kit. Order your kit now! Oh, and tell her (or him) that Bonnie loves her (or him).